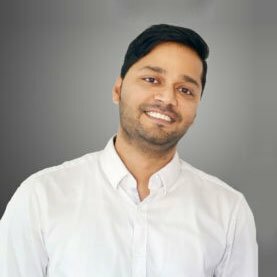 Which marketing technique suits me the most? Which one is the most effective for my business? And where can I best spend my time and money to support and grow my business? These are the most common questions in the business community. Every business owner, small or large, wants to know the answer to these questions. In this article, you will find the answer to these questions. But first, it is important to understand each marketing technique and how it works. Referral can be the best way to get customers. When you get referral, you are not competing with any other business. The customer comes directly to you and the trust is already there because of the reference. Many businesses almost depend on referrals. What can you do to to get referrals? Well, if you deliver quality product or service then your loyal customers will become your advocates and talk about your product or service with others. They will promote your brand for you. In most cases, happy customers will automatically refer you but if required, you need to ask them if they’d like to leave a comment or make a referral. Don’t pester customers, but always make sure you ask. Also keep your social media channels open and receptive to positive feedback. Despite all the benefits of WOM, you should never depend on just WOM to sustain and grow your business. If you are depending on just Referrals, then you are at risk. You need a marketing system which produce consistent leads every month. Some of the most effective marketing techniques are mentioned below. Having one or more than one of these techniques can help you build your brand, grow business and generates consistent leads. Search Engine Optimisation is a long term strategy. As we all know, SEO helps boost your site ranking in search engines like Google, Yahoo and Bing. You won’t get instant results but it’s one of the best strategies to create and grow your brand for long term. Once you start ranking at the top in search results for important keywords in your industry then SEO becomes your 24/7 lead generation system and you get leads even when you sleep. Best part is that the traffic from search engines are usually ready to buy. For instance, if someone is searching for “Dentist Brisbane” then chances are they of course need to visit a dentist either urgently or in near future. Similarly, search terms like “Electrician Brisbane”, “Family Lawyers Brisbane”, “fuel station nearby” all indicate that intention of the user is to buy product/service. If you can be at the front of search result pages then you may get the customer. A little research before committing to SEO can be very useful. At WebsiteFix Digital, we help users take informed decision by offering a FREE Research Report to help new clients figure how useful SEO can be for their business. The Report shows you the most important keywords in your industry, search volume (means number of users using those search terms every month) and competition for those keywords. This pretty much gives you an idea about potential traffic that you can get from search engines and whether it is worth investing in SEO. In many cases, there is a big opportunity to score first page ranking for important keywords in your industry. With initial audit we can find that opportunity for you. An SEO expert can guide you through the whole process. We understand it is not an easy decision to invest in any particular service or give monthly commitment so we try to help provide as much information as possible to help business owner take the right decision. If you need instant results, then Google Ads may be right for you. If your ads are set up correctly with suggested bidding, they will start showing up in search results within few hours after completing Ad setup. Someone clicks on your ads in Google search result, lands on your landing page and you hopefully get a lead. This is a quick way to generate leads. Don’t forget to create a landing page for your ad. For instance, if you are advertising about a Special offer on a product/service then you should have a dedicated page which talks about this offer. Also, there are plenty of other landing page tips you should follow such as having conversion technique (ex enquiry form), testimonials to add credibility, and one call to action. With Google ads, you pay for each click on your ad. The CPC (Cost per click) depends on how competitive your target keyword is. For low competition keyword, CPC can be as low as 30 cents and for high competition keywords, CPC can go up to $40 per click. Sometimes you will get clicks on ads without any outcome. This is one negative of paid ads. Many easily lose their patience as a result. Though you should work on calculating average of amount invested in getting one genuine enquiry rather than worrying about each wasted clicks. To get an idea of CPC , you can go to semrush.com and type the keyword in search bar. It will give you a list of keywords with their search volume and CPC. This will give you an idea about the costs involved. Google Ads may seem easy to DIY but to do this effectively you may need a professional’s help at least for first six months. A lot goes in an effective campaign and there are so many factors such as relevance, user experience, landing page and more. A lot of factors need to be considered to maintain Quality Score. If your quality score is good then your ad will be shown more often and you will pay less CPC. Overall, if you have some short time offers, events, desperate to make a sale in short time or have ample money to put in paid ads then this is the right marketing technique for you. Facebook Ads will usually cost you less dollars then Google ads because of the low CPC. Hence, if your budget is low, you can go for Facebook ads. Facebook has become massive over the years, and the only way your content can rise above the rest is through targeted ads that position you in front of your audience. Despite the low CPC, you get a lot of features with Facebook Ads such as targeting options. However, targeting does not always works because Facebook users shows interests in plethora of things but they may not potentially be your target audience. For instance, even though I’m big cricket fan and liked various cricket pages on Facebook doesn’t necessarily mean I wish to buy Cricket related products. So unlike SEO where you mostly get exposure to audience ready to buy, here your ad may be shown to someone who may just be interested in the topic but may not necessarily a potential customer. Facebook Ads is more effective when you make good use of Facebook Pixel. Facebook pixel allows you to do re-marketing to those who visited your site in the past. This can be very effective because there is high probability that those who visited your site, but for some reason didn’t end up buying or didn’t send enquiry, may be interested in buying your product or service. Facebook pixel tracks your site visitors and then shows the ad to only those Facebook users. Showing ads to them again in near future can produce the desired outcome. These Facebook Tips prepared by WordStream is good to start. Cold Emails – sent to new users who may or may not have opted for your emails. Warm Leads– These are emails you have in your database. You may have got these emails from various techniques such as free eBook, giveaways, offers etc. These emails are provided to you by users who say downloaded your eBook. They filled up a form with their name and email and downloaded the eBook. This way they got a FREE book and you got their email. Email marketing is very effective if you can write personalised genuine email copy and not spam users. It still works and you can still get leads with this technique. Also, sending regular newsletter to your already existing audience (those who opted for your emails or your customers) is a must. You must keep your audience updated once in a month or so about your company info, news, blogs, and tips. Creating great content is the key here. Cold calling is all about skill, luck and volume (it’s a number game). You call 100 people and if lucky two – five may be interested. You must follow the cold calling expert tips to achieve success. Even then you never know if those few will convert or not. And you need a very skilled and experienced tele-caller who makes calls regularly to deliver outcome. Consider cost of hiring someone to do this and commission costs. This is something not for every one. All the other marketing techniques mentioned above can be utilised by pretty much any business to get success in their business. Other than all of the above, radio, television ads or other direct marketing methods can also be useful but are of course much more expensive. I won’t go much in it because I’m assuming if you can afford a TV ad then you wouldn’t be reading a blog to get ideas. You probably already have marketing executives with years of experience. One last thing I would like to mention is PR (Public Relations). Have you seen those articles in Style, Bmag or any of those free magazines where they are talking about say a latest fashion designer and how they created this amazing boutique or online store with a full interview of business owner? That’s the results of PR efforts of that business owner. For effective PR, you can make contacts with the journos, pitch them your business story and if accepted your story can appear in magazine of newspaper. Mostly, you pay for the service especially in case of the FREE mags. PR can be expensive but gets you the publicity you need. A single article on these magazines may cost more than $500 depending on the space it takes. Full page article can go up to $1500+gst. In case you don’t wish to go the expensive lane, free PR options are also available. If you have something newsworthy in your company, then approach different journos from different authentic online news sites and newspapers. If your story is accepted, then you may get get featured in their articles and get free publicity. You can of course hire a PR firm as well to do this for you. Another easier option is to find the good sites which allow guest posting. For instance, Mediatimes guest post option allow you to post an article about your business/brand in just $9 which is very cost effective to be published in a popular blog site. Similarly, find and make a list of these sites where you can publish your content. This is the most cost effective way to get PR for your business. Keep an eye on this space because I’ll update this blog in future with more examples, tools and useful info. Follow me on Facebook to stay updated.